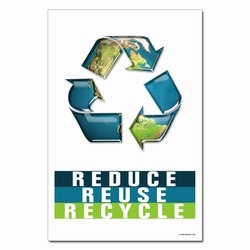 Coaster made of recycled materials. 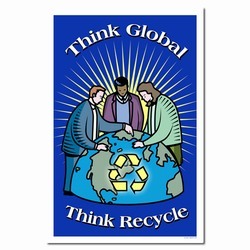 Recycling message will be included in imprint area. 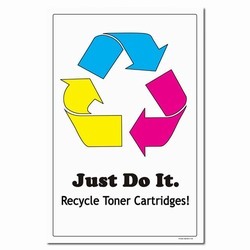 Product color may vary due to the nature of the recycling process. 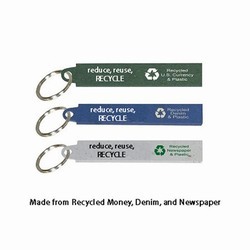 Coaster is made from a choice of recycled money, newspaper, scrap denim, yellow pages or 100% PET with plastic resins. 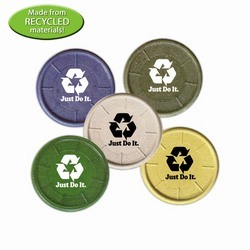 Please choose which color/material and state it within the custom box before checkout. 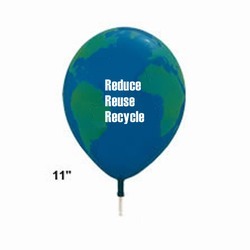 AI-prg014-05 - Recycling Handout Balloon 11"